Recently Linaker pupils took part in a 'guess the teacher from the baby photo' competition. 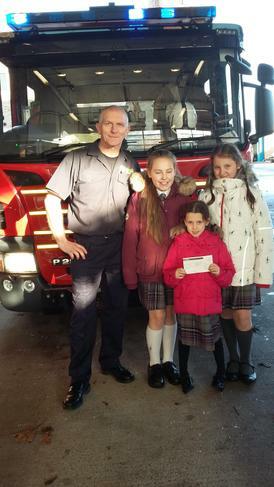 The children raised £46.40 and presented a cheque to the local Fire Brigade towards their Christmas lunch where they invite local elderly folk who live on their own. A fabulous time was had by all as the children were given a tour of the station and discovered the fascinating range of life saving equipment on each of the fire engines.